For the earliest start, sow onion seeds into module trays or pots to transplant later as seedlings. This avoids the need for thinning out, encourages a more economical use of seeds and, given the protection of a greenhouse or cold frame, means sowing can start at least a month sooner in late winter. Fill module trays with seed-starting or general-purpose potting mix, pressing it down firmly into the cells. Sow a pinch of four to eight seeds per cell, then cover with more potting mix to a depth of a quarter to half an inch (1cm). Water with a fine spray. 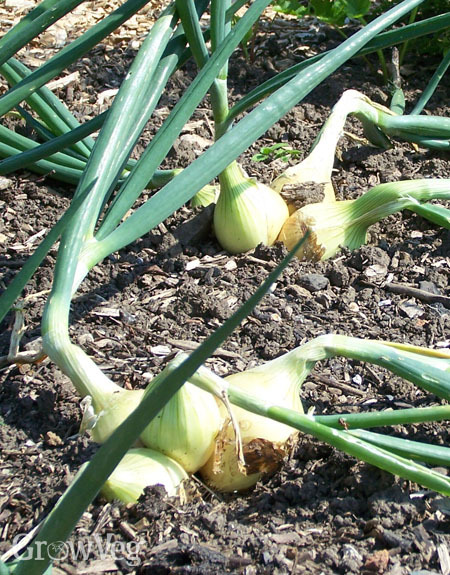 Onions transplanted from plug trays may be left as they are or thinned out once they’ve grown on a little to give bigger bulbs. You can enjoy the thinnings as spring onions.